Exit Covent Garden Station and turn left. Take the 2nd right onto Mercer Street. Stay on Mercer Street until you reach the round about. Take the first exit onto Earlham Street and the theatre is on your right. This is approximately a 3 minute walk. 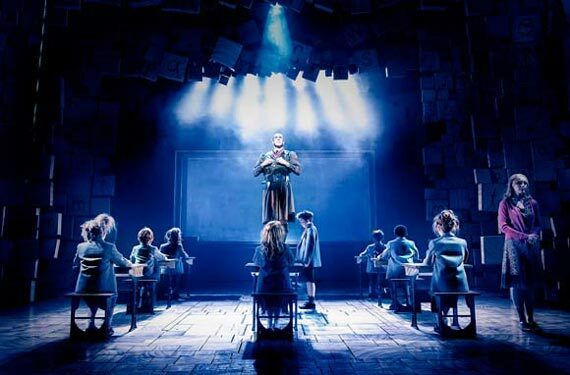 Delighting children and adults alike, Roald Dahl's much-loved story of Matilda has become one of the West End's most popular musicals, gaining numerous awards in just a few short years. The story follows a special little girl with an extraordinary imagination. Ignored by her dim-witted parents, Matilda spends most of her time reading books at an astonishing speed. Life isn't much better at school having to contend with the terrifying headmistress, Miss Trunchbull, but one day Matilda discovers she has a very special power, and decides it's time the grownups were taught a lesson. Colourful costumes, onstage magic, clever and witty music and lyrics, Matilda is a firm family favourite that's not to be missed. Theatre advisory: the show is suitable for ages 6 and up. All persons entering the theatre, regardless of age, must have a ticket and be old enough to occupy their own seats. Babies-in-arms are not admitted to the auditorium. 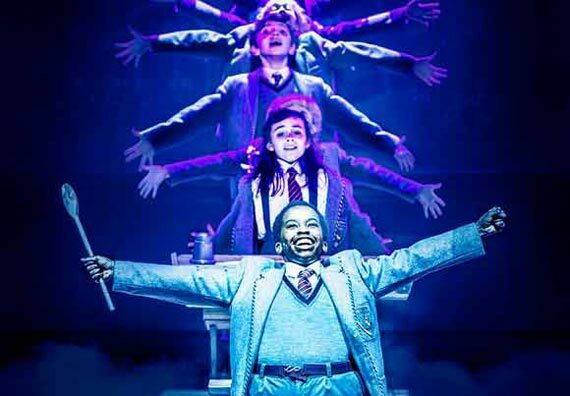 Bursting to life on stage, the musical adaptation of Roald Dahl's Matilda has been playing to sold out audiences since November 2010. 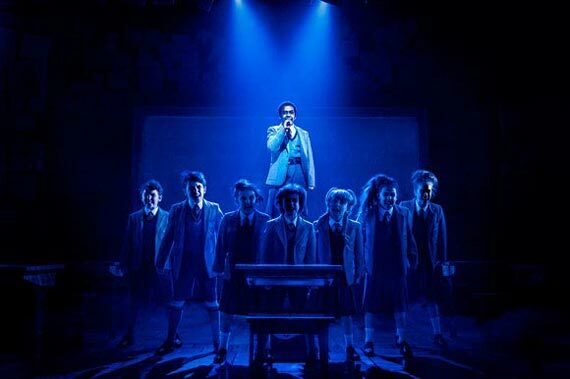 "Matilda the Musical," is a collaboration between seasoned playwright Dennis Kelly, Australian musical Tim Minchin, and director Matthew Warchus, which originally premiered at the RSC's Courtyard Theatre in Stratford -upon-Avon before moving to London's West End in October 2011. The production has gone on to smash Theatreland records even securing a place in the Book of Guinness World Records for Most Laurence Olivier Award wins. The show successfully transferred to Broadway in early 2013, and bookings are currently being taken up to May 2015 for the West End production. 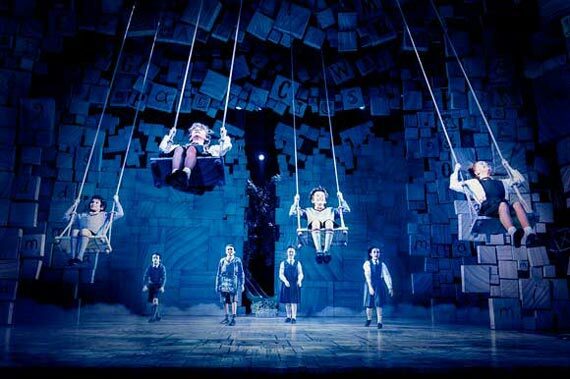 Why book London theatre breaks to see Matilda? Going to see Matilda will be an unforgettable experience, and the benefit of booking with Hotel Direct will give you the ease of combining both the hotel and theatre ticket in one reservation for great savings of up to 75%. The show has been so well received that numerous awards have been won since 2011 including 4 WhatsOnStage awards and a further 7 Laurence Olivier Awards in 2012. In the process Matilda the Musical stole the title from a 1980 production of Nicholas Nickleby that held the world record for number of Olivier awards for more than 20 years. 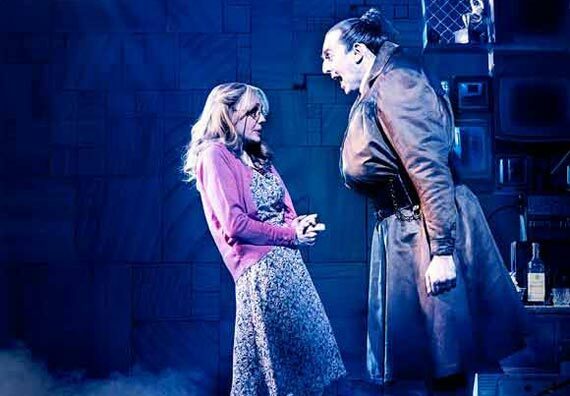 Matilda the Musical has recently been shortlisted for Best West End Show for the 2015 WhatsOnStage Awards. Winner of a record-breaking seven Olivier Awards in 2012, the show has won 47 international awards since its opening in November 2011 including 12 for Best Musical. The theatre is always on the lookout for future cast as the children keep growing too tall for their roles! Children cast as Matilda need to be aged 8 to 12 and under 4ft 3. In November 2012, the cast were invited to perform in front of Her Majesty The Queen at the 100th "Royal Variety Performance" for ITV. "Fantastic show. Cast were all amazing. Very funny and great family show"
"Excellent show 11088;65039;11088;65039;11088;65039;11088;65039;11088;65039; The acting by the adults and especially the children was brilliant." "This musical grabs your attention from the outset with dynamic performances from the youngsters particularly the leading role who was superb. Although this perhaps would not have been my first choice of musical shows I was pleasantly surprised and it surpassed my expectations. So don`t dismiss this show on first glance but go and experience the energetic fun." "the show was outstanding absolutely brilliant would recommend"
"A wonderful show from start to finish"
"We really enjoyed the show! Olivia wells who played Matilda was brilliant, I would recommend the show to everyone for all different ages." "The best stage show i`ve ever seen - the kids absolutely loved it....as did us parents!" Matilda the Musical Rating:	95%	out of	100	based on	520	reviews.